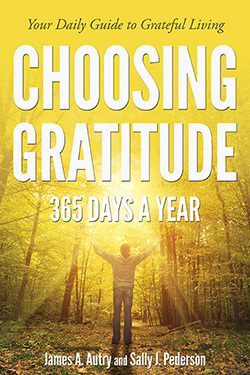 In this follow-up to his best seller Choosing Gratitude: Learning to Love the Life You Have, renowned author James A. Autry joins his wife Sally J. Pederson for a year of gratefulness. Each devotion challenges us to see a source of gratefulness amidst the normal, burdensome circumstances of life. As the year progresses, we are let into Jim and Sally's lives, their trips to visit family, the blessings of their sons and friends. They remind us of things that happened last week or a month ago, even the weather, and so we are looped into the confidence of wise friends who really as the most positive, grateful people we would ever hope to meet. We want to be more grateful as we want to be more honest, more courageous, more generous. Each month, Jim and Sally highlight an added virtue to direct us on our guide to grateful living. Filled with quotes, poems, and the inspired voices of both Pederson and Autry, in a society consumed by fears of not having “enough”—money, possessions, security, and so on—this book suggests that if we cultivate gratitude as a way of being, we may not change the world and its ills, but we can change our response to the world. James A. Autry, a former Fortune 500 executive, is an author, poet, and consultant whose work has had significant influence on leadership thinking. He is the author of ten books, and his writings have appeared in numerous anthologies and magazines. Featured in Bill Moyers’ PBS series The Power of the Word and in Moyers’ book The Language of Life, Autry has also been noted on National Public Radio via Garrison’s Keillor’s “Writer’s Corner.” He serves on the national advisory board of Poets & Writers, Inc. Autry resides in Des Moines, Iowa, with his wife, Sally Pederson, who recently retired as Lieutenant Governor of Iowa, and their twenty-seven-year-old son. He has two grown sons by a previous marriage and is a proud grandfather of two. Sally J. Pederson is an advocate for children and adults with disabilities and a voice for progressive causes. She served as Lieutenant Governor of Iowa from 1999 to 2007 and is a former editor with Better Homes & Gardens magazine, where she met and married the love of her life, Jim Autry. This is her first book. Growing into gratitude comes in discrete pieces: coming to see “calamity” as a deepening experience, as well as recognizing that one already has enough. The culmination of this gem of a book is the longish account of the author’s brother’s learning how to say “thank you” in the face of his inevitable death. Like a slow building formation, James Autry’s wisdom regarding gratitude slowly builds up into insight that repeatedly appears just when needed. Jim Autry does it again. In his usual winsome and witty way, Autry reminds us that our posture toward daily life—on both good days and bad—ought to be one of gratitude. 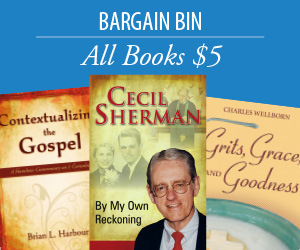 With just the right blend of humor and heart, his stories, poems, and reflections all serve to help us develop and nurture our own spirit of gratitude. Jim Autry is a very wise soul. His inspiring stories, observations and suggestions are helpful in living a life of full of gratitude. This is a very worthwhile read. Amidst the pressures life thrusts upon us, the notion of making a choice to express—no, to live—gratitude may seem naive. But it is profound, and in beautiful story form and moving poetry we are led to see how gratitude doesn’t isolate us from the rough-and-tumble of the world, but rather actually helps us engage it more richly. Several of the chapters were so powerful that I found myself in tears, agreeing that each of us indeed has much for which to be grateful. I experience gratitude as a deep feeling of joy and sorrow as one, of being present to the world. Jim’s book captures this experience—it is filled with moments of joy and sorrow, offering us a profound recognition of what life is. I’m so grateful for this book.